Talking with your clients of senior care services about the flu shot. Your clients of senior care services may not know that it's a good idea for them to get a flu shot. Getting vaccinated is the best way your clients can protect themselves against the flu, which can be dangerous for older adults. According to the U.S. Centers for Disease Control and Prevention (CDC), even the healthiest of people can get sick when flu season arrives. Flu season often begins as early as October and can last until May. The source also stated that during a regular flu season, approximately 90 percent of those who die are age 65 and older. 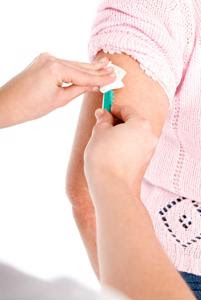 A flu vaccination works when an inactive strain of the illness is injected into the body, which then builds antibodies approximately two weeks after an individual is given a flu shot. The CDC said the antibodies help protect the body should an infection of the flu virus occur. However, clients should know that the body is only protected against the strains of the flu virus that was in the vaccine. For example, a traditional flu vaccine will protect against three viruses including two influenza A viruses (H1N1 and H3N2) and an influenza B virus. The Mayo Clinic said that adults age 65 and older are given a high-dose flu vaccine since they are extra susceptible to becoming severely ill with the flu. If your client said that they were inoculated against the flu last year, then you may want to remind them that flu viruses evolve each year, so they may not be protected now.